Love the ring :) and excellent customer service! Thank you! So beautiful! Also came very quickly, definitely will order more in the future! I LOVE these key chains! My husband's father passed away suddenly in a work accident, and I got 3 of these key chains for him and his brother's for a Christmas present. 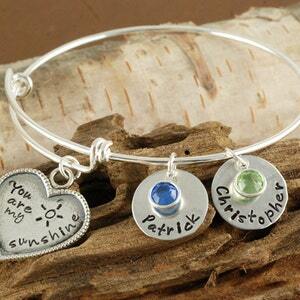 They are very manly looking...but very meaningful with Dad's name and a Bible verse. Thank you for working with me until I was happy with them! They turned out great and shipped quickly!! This came really quickly and it was packaged in a sweet little box. I loved it. It's just the right size. Thank you! I just wanted to email you and let you know that I received the two bracelets that I ordered last week. They are beautiful!! I gave my daughter hers which was "love the beach" with a starfish charm, her name, and birthstone for passing her competencies for dental hygiene and I ordered the tree of life for me. She loved hers and I love mine! You have a fan in both of us!! Thank you so much!! Gorgeous! 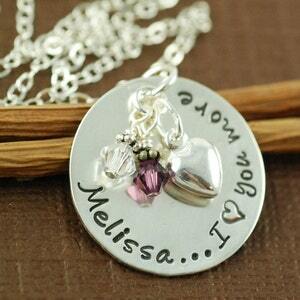 I already have the necklace and bought 2 of these for gifts. . everyone loved them. Thank you! I have a friend who always replies to my "I love yous" with "I love you more". I cannot wait to see her face when she opens this gift! Very sweetly wrapped and great service. I can feel the TLC that went into this product! This is a gift for my daughter for her March birthday. It is absolutely beautiful and wouldn't hesitate to order from this artisan again! Loved it! !!! Great item. She loves it and I looked like a star!! 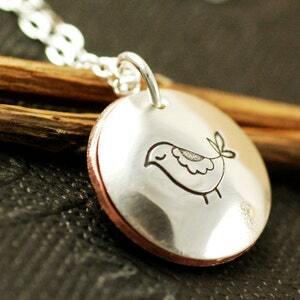 The locket I a nice subtle size and nice simple art work. My wife has a Christmas week birthday, so it is always a challenge. Especially when I don't read the information and order the necklace with 3-4 eggs, when only need 2. I contacted the seller within a day or two of the order. They were able to make the adjustment to the order, issue the refund, and have to me 2days after Christmas and a day before her birthday. Couldn't thank them enough. Exactly what I ordered. My son gave to his "GiGi" for Christmas because she sings this to him all the time. She cried she loved it so much. 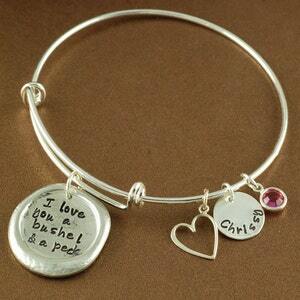 I loved this bracelet and the personalization was perfect. 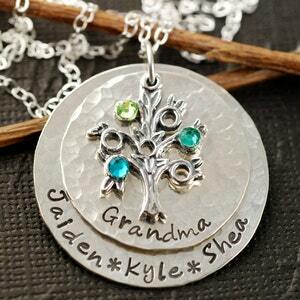 It was a great gift for my mother with the grand kids names and birthstones! Will for sure being back for more! 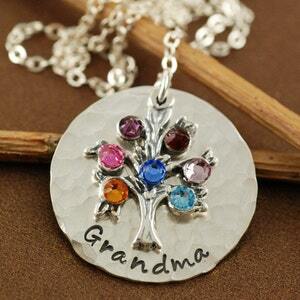 I received one of these necklaces as a gift and loved it so much I purchased one for my mom. Great quality! Arrived earlier than expected. 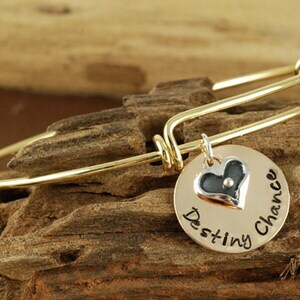 Very pretty bracelet and the seller was able to customize it just as I requested. Perfect! Absolutely BEAUTIFUL ... Exactly what we wanted . Transaction was quick smooth . Seller was pleasant helpful and very attentive to what we needed done with our order . Quick delivery . I got a package in the mail today & I couldn't wait to open it! 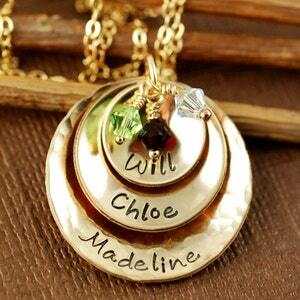 This necklace is beautiful! The picture doesn't it justice. My mom is going to love it for Christmas! 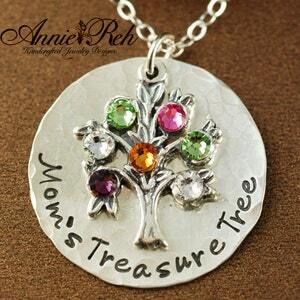 I'm putting it on my wish list for Mother's Day! Thank you!! Item came exactly as expected and very quick. 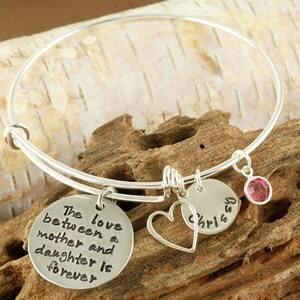 I bought two bracelets, one for myself and one for my mother so we would have matching mother/daughter bracelets. Very happy with the way it looks and with the prompt shopping. Would highly recommend!! Received this item today and it is beautiful!!! It was shipped immediately, personalized for my daughter's 18th birthday. Think I'm going to order one for myself:) Thanks for the amazing service! 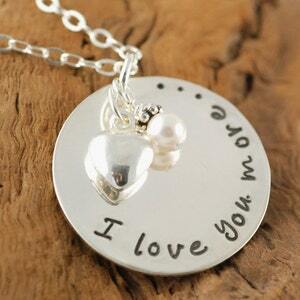 Love this necklace!! It's even more beautiful in person and I get compliments every time I wear it. Thank you! 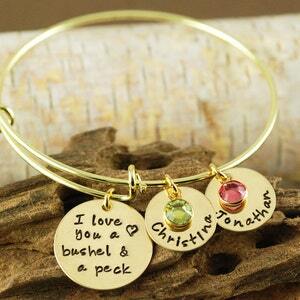 I loved my bracelet! Exactly what I was looking for! Great quality! 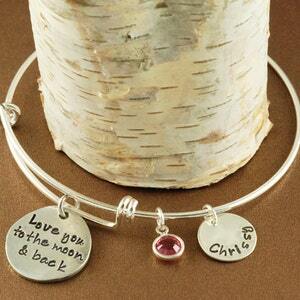 Love my personalized bracelet and get so many compliments. Thrilled with the quick service! 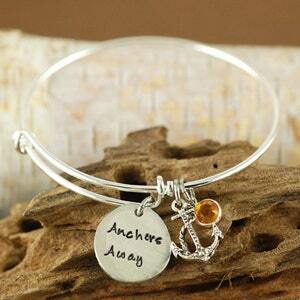 I needed this bracelet super rushed & received it immediately! Even quicker than I thought! It was beautiful & looked exactly as pictured! Very happy with my purchase! Will use this shop again for sure!! Highly recommend!! 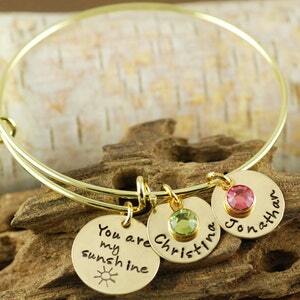 Beautiful bracelet......it was a gift and my friend absolutely loved it! Quick turnaround time too. I am very pleased and will use this company again!